What are your plans for this summer vacation? 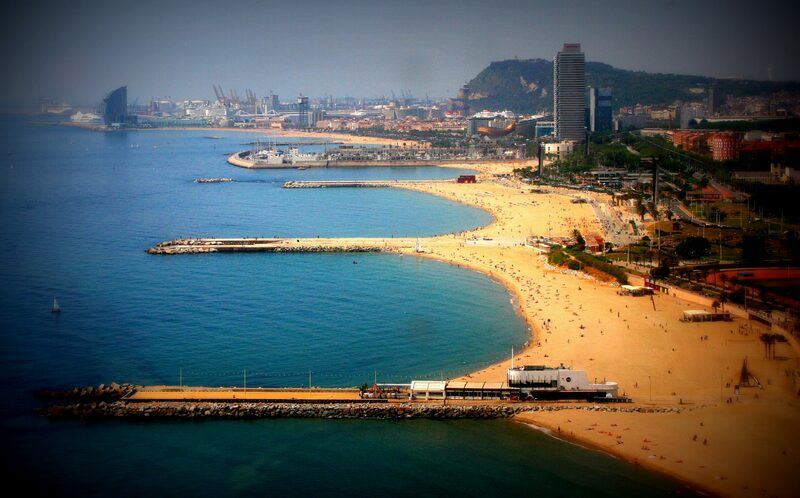 Spend the whole summer in Barcelona: short-term rental is the solution. That is, 3 months. Sounds crazy? Not really if you look closer. Your relatives and friends can take advantage of the happenings in Gaudi’s city at affordable prices. Update the rented flat’s calendar, because you are going be busy! LocaBarcelona has an agenda of events and things to do for all ages and tastes. Are you ready for the best summer of your life? You’ll need plenty of energy to start your days visiting around so that when the sun is at its hottest you can take a break, our famous siesta. Relax your body and make yourself ready for the fiesta! Barcelona is a hotspot known by party people around the world. The summer is loaded with events, from concerts, parties and even popular celebration days that end in major fireworks, all that and much more is awaiting. The summer is indeed the season of musical events so leave plenty of space for evening happening! Strap something comfortable to your feet because there are many places worth the visit. Architecturally a must see: Casa Batlló, Parque Güell, La Pedrera and, of course La Sagrada Familia. The MACBA (Museaum of Contemporari Art) is worth it’s low ticket price (only 10€), Open every day except for Tuesdays. But take some height! Go to Tibidabo. The cable car journey will revive the child within you. And a spectacular view of the city from its 512 meters is awaiting those children eyes. Gaze at the city’s landscape and its coastal stretch. After all these efforts you deserve this fresh breeze..
Visit close by Montserrat monastery perched at over 1,200 meters. The mountain in itself is a show. Its name is the definition of its appearance: the sawn mountain. Depending on your personality, you can choose a cultural visit to the Basilica and the Black Madonna or, for the more energetic, take a trek to it’s highest peak. From St. Jerome you’ll appreciate in full the bizarre nature and moon-like aspect of the place. Only May and already the beaches are the place to go, but only if you have nothing else to do, which is not the case here. The music scenes mushroom. Each neighborhood celebrates its Spring (Primavera als Barris) with free concerts every Thursday of the month. In June starts the famous and awaited Sónar Festival, hosting international artists. It is expected by public of any age. Young and older people find music and artists to their taste and likes. The night of Sant Joan (June 23-24) all the city, all the surrounding villages throughout Catalonia party. It is Catalunya’s Patron’s day. In the evening and for most of the night, El Revetlla or Nit da Foc, it is the Night of Fire. And you’ll actually see and hear this element in all its forms. Firecrackers, fireworks, bonfires. And of course fixed and improvised bars for the event are every§where. If the city is too noisy for you, the beach is not any better! That night, the party is everywhere. And if you can’t avoid it, better be in! By the time Jul y arrives, you feel you have already spent a full summer of festivities. But this was only the beginning. “El Grec Festival” is theater, dance, music and circus all in one. Exceptional performances that will delight children. The months of August and September are the “Festa Major” of each neighborhood and each city or town surrounding the catalan capital. Traditional celebrations that vary depending on local history. The best according to some, the Festa Major de Gràcia, 15-21 August this year. The streets will be decorated by the residents. Only homemade decorations that will compete to win the title of the most beautiful street. In the meantime, you have the choice between parades, human towers and correfoc (running fires). With all there is to do, you may have forgotten you initially came to relax on the beach. Better do that post 4pm. You’ll still get the tan without major UVA sunburns. And later go sip a cocktail at start getting that evening fiesta induced by the music vibes soaring from any chiringuito. Relax or visit, now you have a full programme. A lovers week-end or a group of party people. A family fortnight or amateurs of fine cuisine. All will be delighted with your brilliant idea to share a short-term rental. 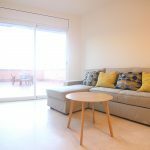 All will find Barcelona to their taste and have plenty to do while spending a reasonable price on the short-term rental of your choosing. They can spend a little or a lot of time, all depending on the availability of the property you rent. One thing is for sure, none will ever forget such amazing summer vacation in Barcelona and your thoughtful idea to have them enjoy it.